After the cab market, it looks like auto hailing is up for grabs. Ola Cabs has been running their Ola Auto successfully, and now their main competitor Uber has got into the fray as well. Uber Auto is here! Going forward you will be able to book an auto using Uber App in Delhi. 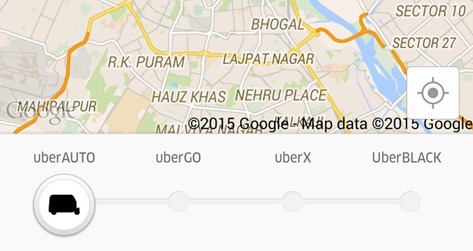 Simply open the app and tap on Uber Auto, which is displayed along side UberGo, Uber Black and UberX. And nearest Auto will come and pick you up. Auto hailing apps are for-India-In-India kind of innovation, and not available in any other countries. 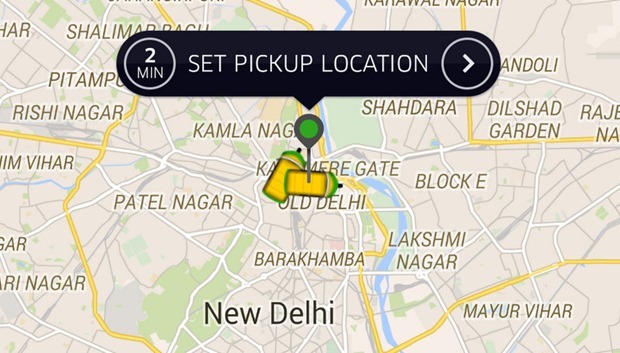 Ola Cabs first launched it few months back, and now Uber has entered it as well. uberAUTO further expands the universe of transport and payment options available through the Uber app and is being launched as a cash-only service for now. Users simply select the uberAUTO option in-app, take a ride and pay the driver directly in cash. uberAUTO is only available within Delhi. Haryana and UP does not have uberAUTO for now. One of the difference between Ola Auto and UberAUTO is that with Ola a customer can choose to pay the Auto rickshaw guys through wallet, which is directly deposited into auto driver’s bank account. However, with UberAUTO that option is not available. UberAuto is also coming to other cities – From what we hear, Uber is signing up auto drivers on their system in other cities including Pune. "Uber AUTO Arrives In Delhi, Soon To Arrive In Other Cities", 5 out of 5 based on 1 ratings. Flipkart Partners With Mumbai Dabbawallas For Deliveries: But Does It Make Any Sense?